It took Scott Futrell six weeks to do what any fighter would be fortunate to do in a year. Futrell rattled off three wins from the first of December to January 20, and all came via finish. Futrell, 26, took all three fights on short notice and all three were at a 180-pound catchweight, 10-pounds lighter than his typical welterweight. On January 20 at Elite Fight League in Cedar Rapids, Futrell defeated David Glover by verbal submission just 46 seconds into the fight. Glover stayed committed to the takedown and Futrell proceeded to land heavy elbows that eventually led to the submission. On December 16 in Omaha, Neb., Futrell TKO'd Seth Bass (4-2) just 17 seconds into the second round. He started December with a second-round submission of Stacy Bacon for Blue Corner MMA. Before December, Futrell had fought just once in 2017, losing a decision to Adrain Hadribeaj. This stretch has improved “The General” to 8-5. 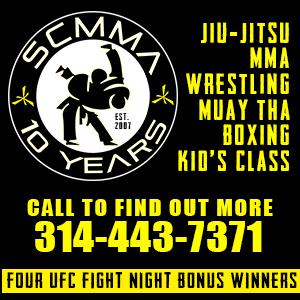 Futrell was a long-time member of Modern Combat System, but that gym disbanded and the fighters segued to St. Charles MMA around the midpoint of 2017. Futrell has inked a March 31 bout against Marco Smallman for the welterweight title for Michigan-based Triple X Cagefighting. News broke last week that Bellator MMA is coming to St. Louis for the fourth time in three years. Bellator came her twice in 2016 and once in 2016. In the only fight as of yet, Michael Chandler will look to regain his Bellator lightweight title on April 13 at The Family Arena in St. Charles. Brent Primus (8-0) won the title against Chandler (17-4) last June at Bellator NYC after Chandler suffered a sprained foot in the first round of their fight. Chandler, who grew up High Ridge, was a Northwest High grad, and went on to excel at the University of Missouri, got back on track at Bellator 192 when he defeated Goiti Yamauchi via unanimous decision. Primus has yet to fight since becoming champion. Expect St. Louis ties aplenty on both the undercard and main card. Currently, Justin Lawrence, Zach Freeman, Jordan Howard, Rebecca Ruth, and Joaquin Buckley are all under contract with the organization. It was announced last week that Pena was chosen to be part of the cast for the next season of The Ultimate Fighter 27. 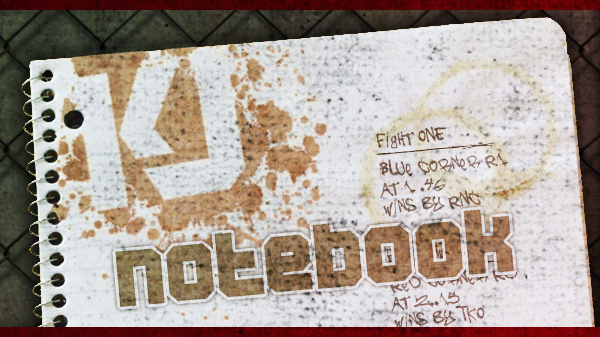 The show is tabbed as “TUF: Undefeated” as no fighter on this year's cast has lost a pro fight. Filming starts this week, and TUF 27 will premiere April 18 on Fox Sports 1 and air for 12 one-hour episodes. TUF 27 will have eight featherweights and lightweights with the competitors range in age from 22 to 32. Also announced were the two TUF 27 coaches: heavyweight champion Stipe Miocic and light heavyweight champion Daniel Cormier, who will meet for Miocic’s title at UFC 226 in July. Pena was the 2016 STL MMA Breakout Fighter of the Year and won the 2017 STL MMA Pro KO of the year. Pena, a transplant from Arkansas and Florida, trains at both St. Charles MMA and Arnold BJJ. He joins local fighters Justin Lawrence, Adam Cella, Andrew Sanchez, and who were part of the cast of the long-running reality TV show. Joe Giannetti – 6-0 | 22 | Norwell, Mass. Mike Trizano – 6-0 | 25 | Ramsey, N.J.
Tyler Diamond – 9-0 | 26 | Oroville, Calif.
Bryce Mitchell – 9-0 | 23 | Cabot, Ark. Kyler Phillips – 5-0 | 22 | Surprise, Ariz.
Ricky Steele – 5-0 | 29 | Boise, Ida. Charles Johnson recently ran his record to 6-0. Fighting for Elite Fight League in Cedar Rapids, Iowa, Johnson submitted Marcel Tong Van via choke at 3:20 in the first round. While Marcel Tong Van fell to 7-5. Johnson earned 2017 nominations for STL MMA Regional Pro of the Year and Submission of the Year. Johnson is scheduled to compete this Friday for ShowBox on the professional boxing undercard. As it was previously mentioned in our preview of Shamrock FC 303, undefeated lightweight Sean Woodson will take on red-hot Garrett Gross in a #1 contenders match for the SFC lightweight title. The winner of the bout will determine the No. 1 contender for the vacant SFC 155-pound championship and will fight for the title this summer against a yet-to-be-determined opponent. In 2017, Woodson went 3-0 last year in three different weight classes. His wins came against Coltin Cole, Rashard Lovelace, and Seth Basler, with the win over Lovelace marking Woodson's arrival as one of the area's top fighters.